Ok, I know everyone is on this no-carb diet (myself included), but there are definitely days that I need a nice pastry or dessert and for those days, since its a treat, I only want the best in the city. 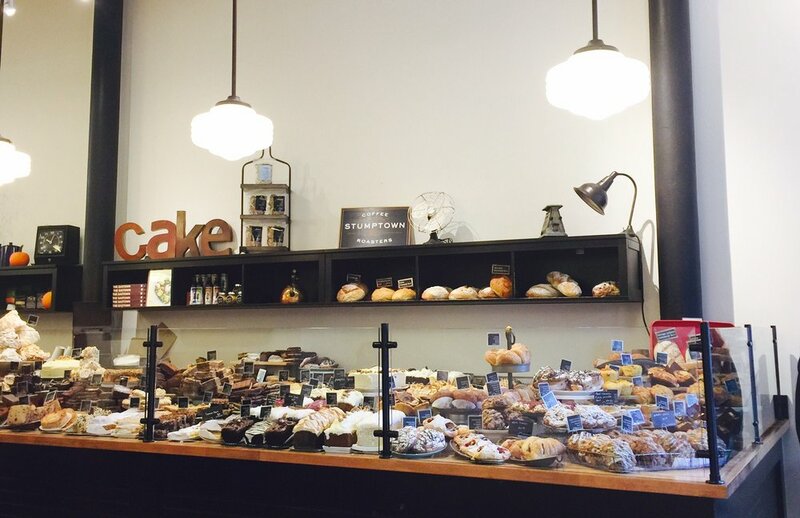 Well, let me tell you where to go: Purebread in Gastown. First of all, they have such a huge variety of loaves, cakes, scones, tarts, croissants, etc! They have everything from sweet to tart and everything is fresh. So fresh, when you order it, its still hot. And you might think to yourself, like I did, who really buys pastries and carb-y snacks anymore? well a lot of people! I sat there for about half an hour and at least 20 people came through and bought boxes full of treats (hence how everything is so fresh).